PHOTO CONTEST Conduct an event or project! Jungle Babbler, widespread throughout India. Photo by Prashant Kumar. GBBC-India is the Indian implementation of the global Great Backyard Bird Count, which runs for 4 days every February. Indian birders have participated in the GBBC since the event went global in 2013. Last year (2015), birders from over 100 countries reported 5,090 bird species while uploading nearly 150,000 birdlists. In 2015, nearly 1,000 birdwatchers from all across India reported 735 species in 7,300 birdlists during the four days of the count — that was more species than any country in the world other than Ecuador! More results from GBBC-India 2015 are here, and additional information about the global GBBC is here. Most importantly, it’s fun! But there is a serious aspect as well, as these annual snapshots of bird populations help to answer a variety of important questions, including how birds are distributed across the country, how they are affected by habitat changes and weather, and whether populations and distributions might be changing from year to year. In addition, you can use the opportunity of this event to get others involved in birding, to reach out to the general public, or even to run a local or regional project! Here are some more ideas about the opportunities that the GBBC presents. If you live or work in a campus (school, college, institution, etc), do join the Campus Bird Count that runs alongside the GBBC. Tens of thousands of birders and nature enthusiasts from across the globe will be watching birds during the four days of the event — let’s join them! The dates for GBBC 2016 are 12-15 February. Go birding for at least 15 min, listing and counting all the species you see. It doesn’t matter if you can’t identify every single species — what you can identify is good enough! Login to www.ebird.org/india and submit your species list. For those new to eBird, see the brief description here, and do go through our beginner’s guide and make sure you create an account and start using eBird right away to get used to the platform. 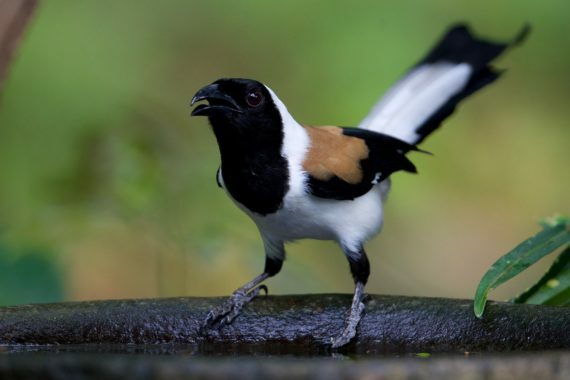 GBBC-India is coordinated by the Bird Count India collective, a coming-together of a number of groups and organizations that are interested in birds, nature and conservation. Do join us! You can read about the goals of Bird Count India, and see a listing of partners.